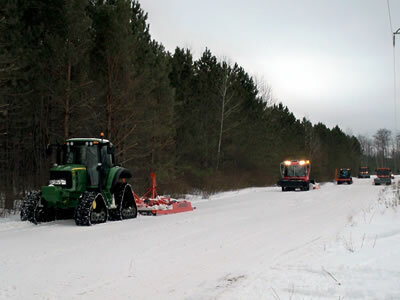 Walker Equipment Inc. is proud to continue the Arrowhead Snowmobile Trail Groomer Tradition! 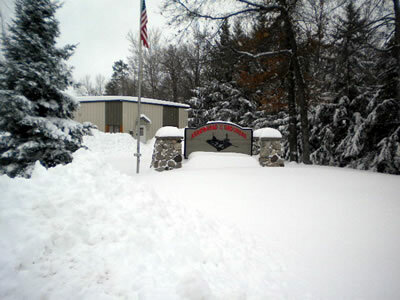 Walker Equipment Inc., "Home of the Arrowhead Groomers" is located in heart of the snow belt. 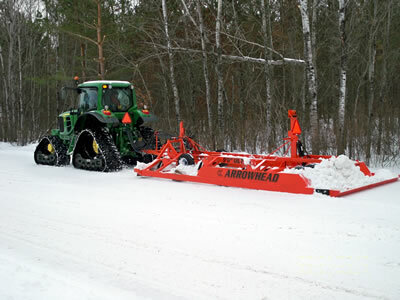 Arrowhead Groomers established in 1976, as Charles Vogel Enterprises, manufactures groomer drags to keep high traffic snowmobile trails in top condition. 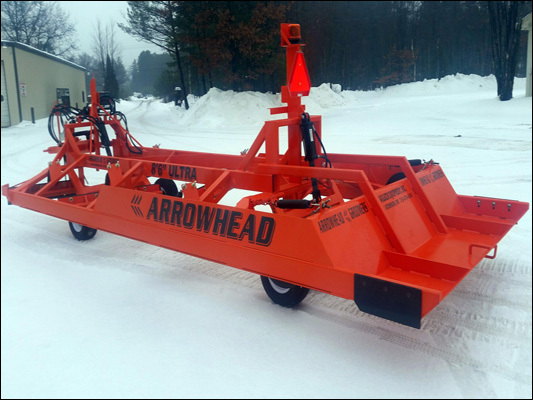 We continue to manufacture Arrowhead Groomer Drags with the same talented employees and qualities you have come to know. Dual trip spring loaded blades, Reversible cutting blades, Stiff hitch, dual rear wheels are a few of the features. 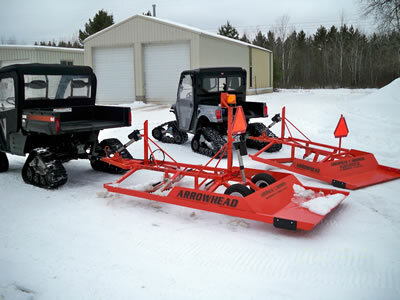 The Ultra Groomer can also be customized for any situation with added features and customized paint. From The Mini's to The Ultra's we have a groomer for your needs. 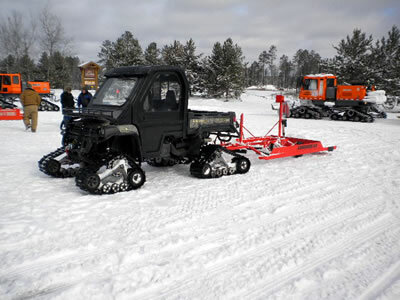 We host one of the largest groomer shows, featuring vendors from Wisconsin, Michigan and Minnesota featuring the latest technology in snow grooming equipment. Mark your calendars and join us for the 21st Annual Groomer Show in February 2018.